Not unlike Jason Voorhees and Camp Crystal Lake, or Freddy Krueger and Elm Street, Victor Crowley and Honey Island Swamp are practically synonymous at this stage in the game. However, if Hatchet 5 gets the go-ahead, writer-director Adam Green plans to court Crowley out of the swamp. Where, exactly, we don’t know, but while participating in a recent Reddit AMA (Ask Me Anything), the filmmaker behind next month’s Victor Crowley spoke more about what the future holds for his disfigured abomination. If there is a Hatchet 5, Victor Crowley will be leaving the swamp. Can’t say anything more yet but I purposely brought him back in this new film in a way where the rules have slightly changed. We’ll see if we get to make a part 5 in a few years! Relocating Crowley and, by effect, an entire horror series, to another setting isn’t without its risks, as part of Hatchet‘s allure is the aforementioned Honey Island Swamp and its dreaded, murky bayou. But if the stars were to align, and Hatchet 5 begins to make headway, Green already has one or two ideas up his sleeve. 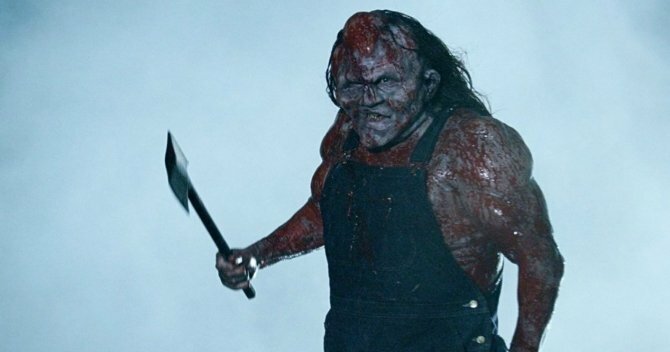 Not only that, but the imminent Victor Crowley movie will also feature a mid-credits scene, indicating that the franchise isn’t quite finished…yet. As you’ll see with Victor Crowley (don’t miss the scene that happens in the middle of the end credits!) the series is set up for more stories. I have a master plan and laid the seeds in this new one for where it’s going to go… but unfortunately, in today’s new era where most stream films and too many pirate them illegally, we can’t be too sure that we’ll get to make more of them. We hope that we can continue making one every few years. We are, at the time of writing, only one week away from welcoming Victor Crowley onto Blu-ray, DVD, and VOD, and if you’re wanting to secure your copy ahead of February 6th, you’ll be happy to hear that Amazon is now accepting pre-orders.